TopCashback has canceled cashback on my two transactions made at the end of October. 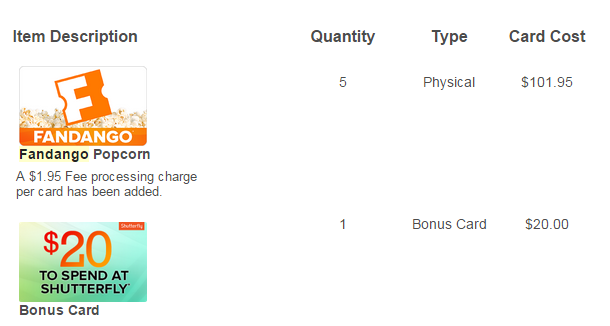 Both orders were (5) $200 GCs with a promo code that waive $3.95 purchase fee (of all GCs). 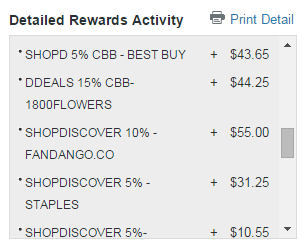 On the other hand, I made four transactions of a single $200 GC with a promo code at the beginning of October. These are for redeeming Amex Offer ($10 statement credit for the purchase $200 or more Amex GCs.) 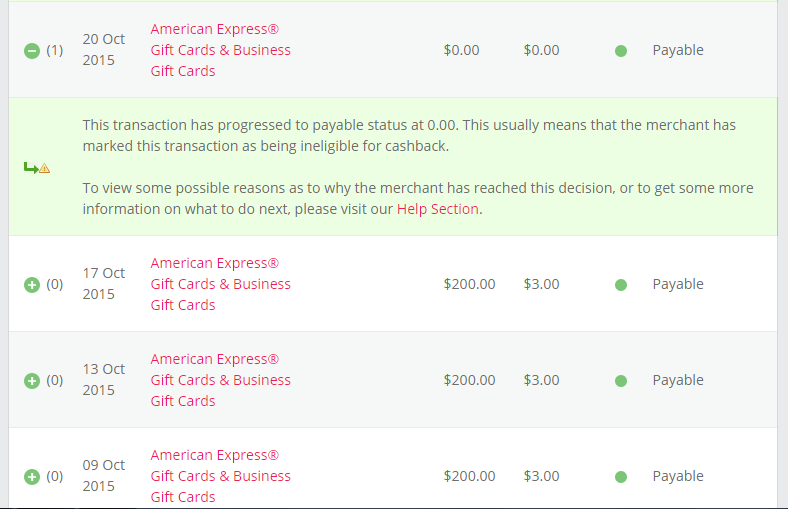 Each cashback for these four transactions is confirmed. I’m not sure of the reason for cancellation of cashback. Did the promo code cause it? If so, why were four transactions eligible for cashback? Did purchasing a large amount cause it although a denomination of each card was $200? 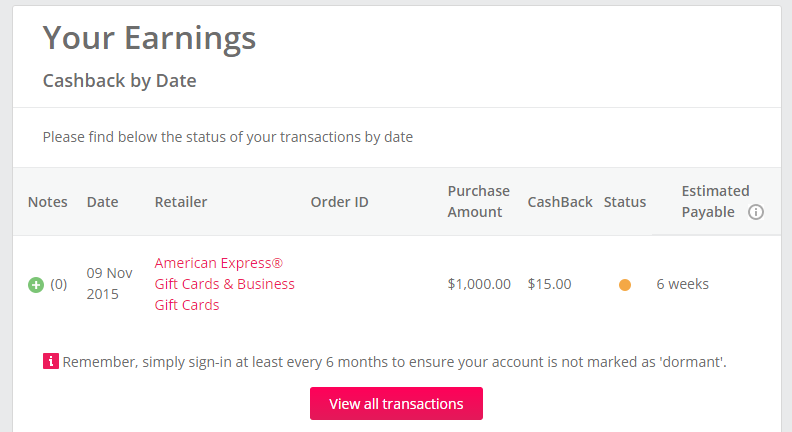 In either way, the cashback deal on Amex GC purchase is over. No promo code, no deal. 1.5% cashback doesn’t even cover a $3.95 purchase fee. 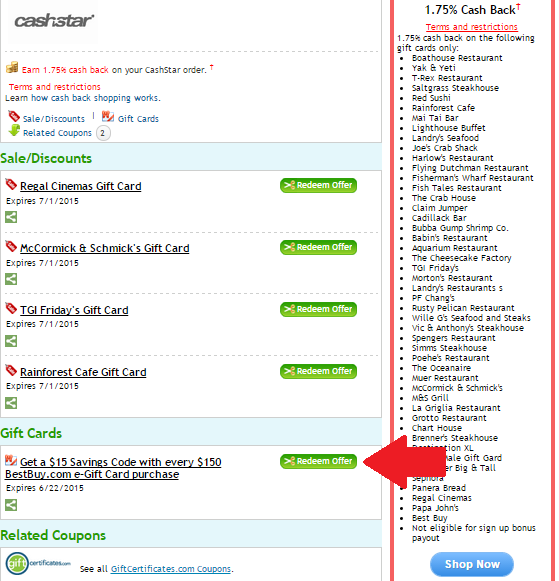 Even if a promo code works, but you need to buy only one $200 at a time, you will have to make so many transactions. And I believe that Amex doesn’t want you to do that, either. I made the same transaction ($200 x 5 with promo code) on November 9th. There is pending cashback for this purchase, but it will be canceled in a few days, I guess. In 2014, there was the offer of FRN (Fuel Reward Network) 2X then reduced to 1X, then it disappeared. It came back for a while and then disappeared again. After that, there has been no offer for Amex GC purchase. I check the portal site recently, and I found the offer was back. It’s 1X, which is equivalent to 2% cash back. As far as I can tell it’s been three weeks in FRN online mall, and may have been around for more than weeks. The offer can’t be found in “Gift Card” category, but there is in all store’s list or by typing “american….” in a search box. 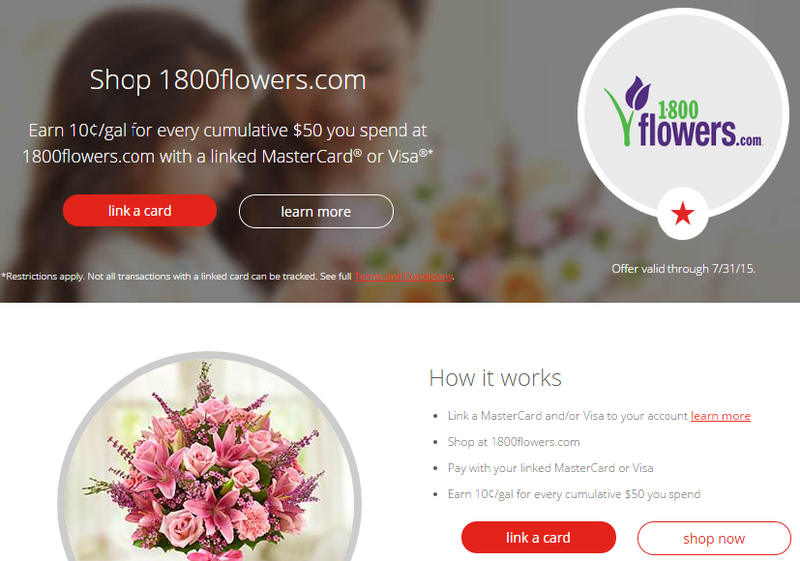 Last year, the offer was easily found in “Gift Card” category. Of course, you were able to found in all store’s list or by entering “american express gift card” in the search box, too. 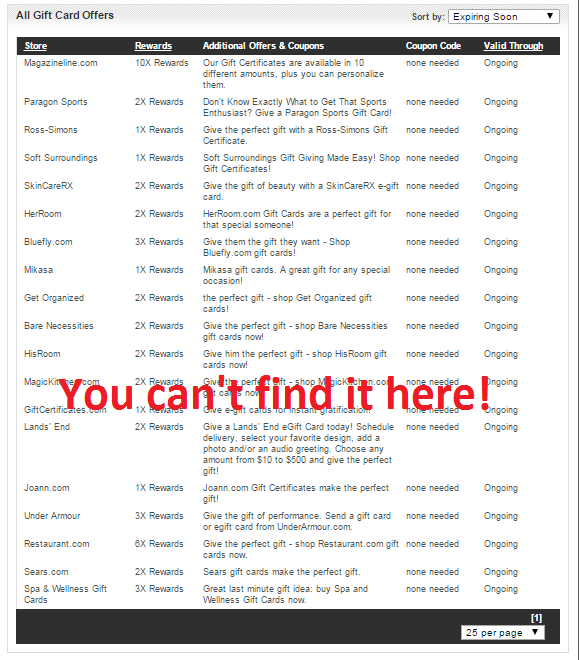 But, it’s easier to click “Gift Card” than to type the word in search box. 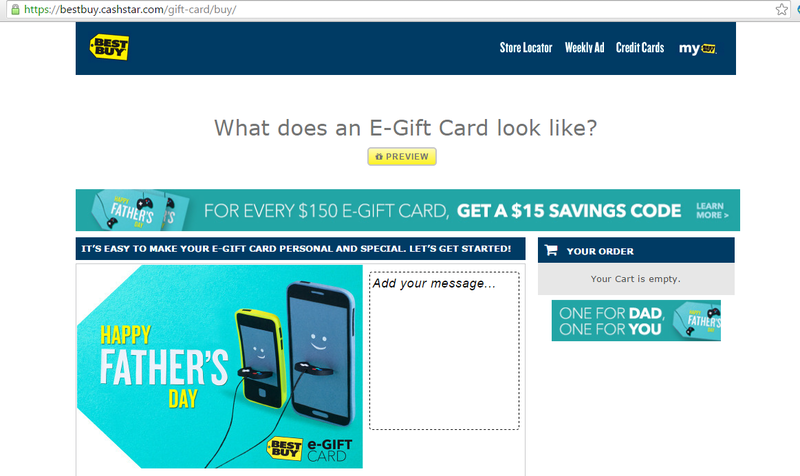 I had been checking the site to see if the offer came back, but I checked only in “Gift Card” category. Weeks ago, I glanced all stores without any expectations and found the offer back although you can’t find in “Gift Card” category. 1X FRN reward is equivalent to 2% cash back. 1X means that you can earn 5¢/gallon discount on every $50 purchase through FRN online mall. FRN rewards can be redeemed at participating Shell gas stations, up to 20 gallons in single fill-up. 5¢ x 20 gallons = $1.00. $1.00 back on $50 spent. So it’s equivalent to 2% cash back. Terms and conditions of this offer are the same as other online shopping portals, such as Befrugal and Topcashback. But it seems to be limited to Business Gift Cards. You can’t use promo codes. And the denomination more than $2000 are not eligible for the reward. When you buy the highest denomination, (it’s $2000) you will earn a $2.00/gallon discount. Again, according to terms and conditions, only Business Gift Cards are eligible for the offer. Sometimes, Topcashback offers 2.25%, and Simply Best Coupons offer 2% cash back for Amex Business GC purchases. But they are usually a daily deal. FRN is continuously offering a 2%-cashback-equivalent deal. If you want to know more details of Fuel Reward Network, please click here. Until July 31st, FRN has a linked MasterCard or Visa card promotion. With some conditions, you may earn the reward virtually for free. If you are interested, please click here. Fuel Reward Network (FRN) is a reward program. It is redeemable at Shell only, but you can earn FRN rewards in lots of places and various ways. FRN rewards are given in the form of cents-per-gallon. You can redeem for up to 20 gallons at the pump. For example, $0.35 in FRN reward can save up to $7.00 (=0.35*20.) The rewards you earn in different times and places will be combined in your account, and then you can redeem all at once. If you have lots of rewards, let’s say $5.00, you can use it and get 20 gallons of gas for almost free. Due to some kind of rules, you can’t make it completely free. You still have to pay a few cents per gallon. It’s free to join. Shop Online – FRN has an online shopping portal. Shopping through the portal lets you earn the rewards. The rates of reward vary by merchants. Basic rate is 5¢/gal on every $50 purchase, and it’s described as “1X.” Since 5¢/gal is worth up to $1.00 (=$0.05*20), “1X” is equivalent to 2% cash back. There are over 700 merchants. You may find your favorite merchants. However, the rates of most merchants are not as good as other major shopping portals, such as Befrugal, TopCashback. For that reason, I don’t buy through the FRN portal now. American Express Gift Card – Sometime in 2014, FRN portal offered 2X on American Express Gift Card purchase. It was the best rate of all back then. One day, the offer was downgraded from 2X to 1X, and after a little while, it disappeared. It came back once and disappeared again. At the time of writing this article, The best offer for AmEx GCs is 1.5% cash back from Befrugal. If FRN offer for AmEx GCs returns, and even if it is 1X, I will buy through FRN portal because the rate is slightly better. Dine Out – Link your credit/debit cards to FRN account. When you pay with them at participate restaurants, you will earn 10¢/gal for every $50 you spend. You don’t have to spend more than $50 in a single transaction. FRN track your expense and accumulate. Once it reaches $50, they give you the reward. 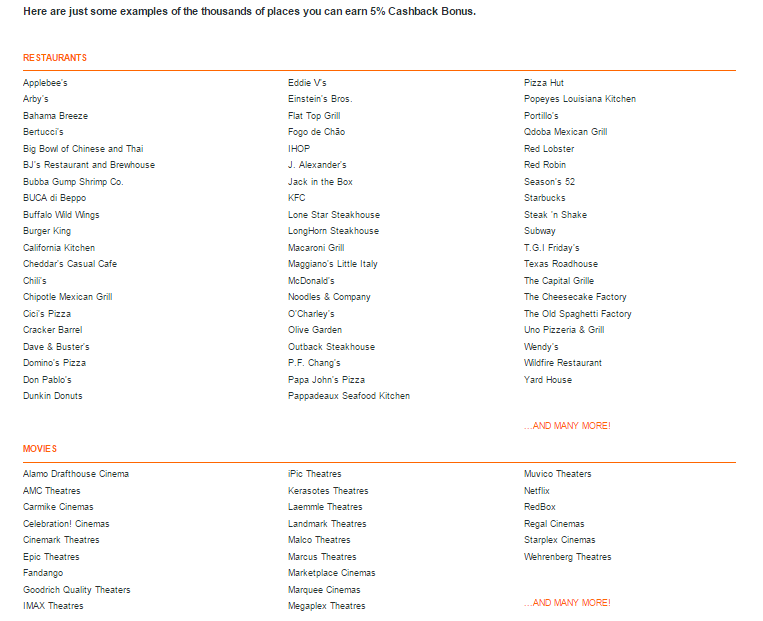 If you have a credit card that offer bonus cash back or point for an expense at restaurants, link and use it. You can earn not only FRN rewards but also bonus rewards from your credit card. Grocery Stores & Other Participants – You can earn FRN reward with your everyday purchases at participating grocery stores and other participants. Basically, the offer for a grocery store is 5¢/gal for every $50 you spend. But some stores and participants offer the reward differently. 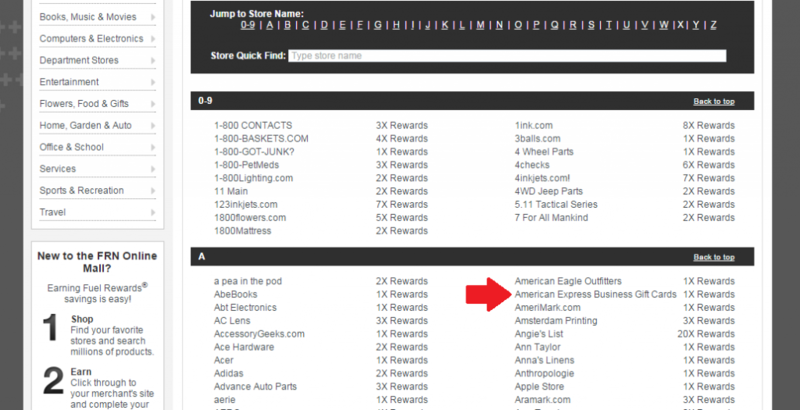 So, you should check what stores is FRN participants in your area and how they give you rewards. Even if you don’t find any stores in your area, you still can earn the rewards in other ways. 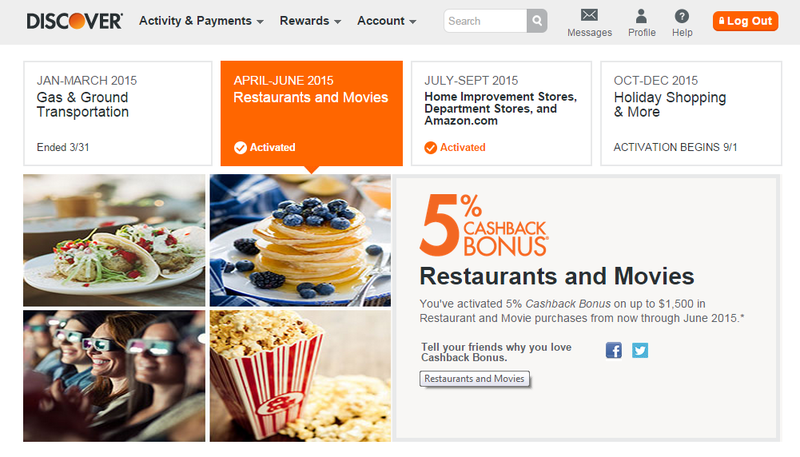 Promotions – There are always some promotions to earn additional rewards. Those rules vary, but most of them are MasterCard offers. 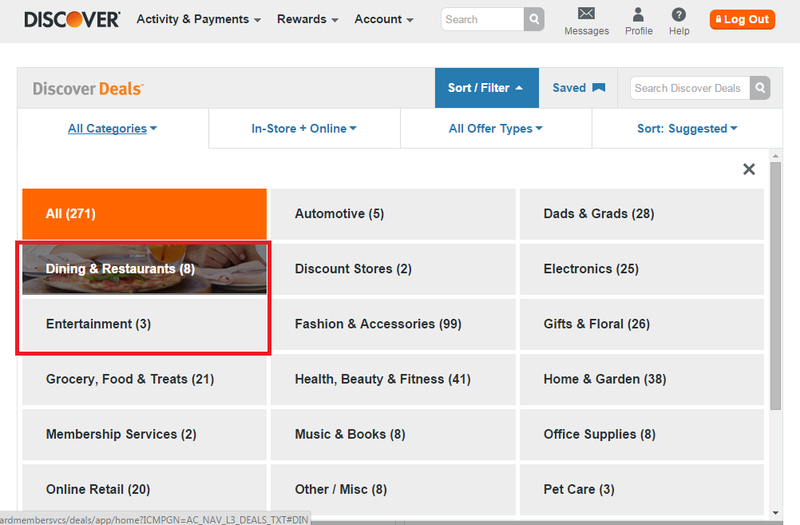 When you use linked MasterCard in-store or online where a promotion is ongoing, you will earn additional rewards. I like MasterCard promotions because you could earn multiple rewards in a single transaction. For example, the promotion, “Earn 20¢/gal for every $100 you spend at Toys R Us,” 20¢/gal is already a great deal. It’s like 4% cash back. And you will earn credit card’s rewards, too. On the top of that, if you shop online, you will also earn the reward from shopping portals. You don’t have to use FRN shopping portal. As I mentioned, FRN shopping portal’s rate isn’t great. Toysrus.com offers only 1X (=2% back.) If you shop through Upromise, you will earn 5% cash back. As long as you use linked MasterCard, you earn FRN rewards even when you shop through any shopping portals. Even when there is no reward in your account, you will get 3¢/gal discount with the FRN card. If you have $0.01, $0.04/gal is available. If you have $0.02, $0.05/gal. If you have $0.03 or more, you will redeem the same amount you have. 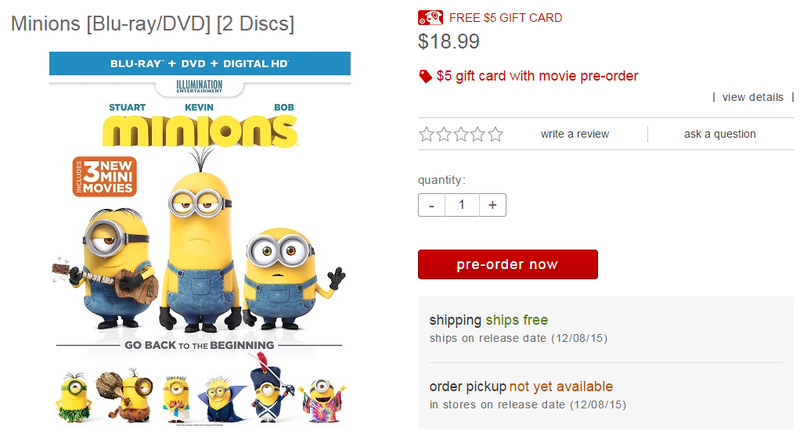 This offer plans to end in December, 2015. Sign up through this link. You will earn 20¢/gal bonus after you first use an FRN card to fill up at Shell or earn the first FRN reward through the programs. Offer ends on March 1, 2015.